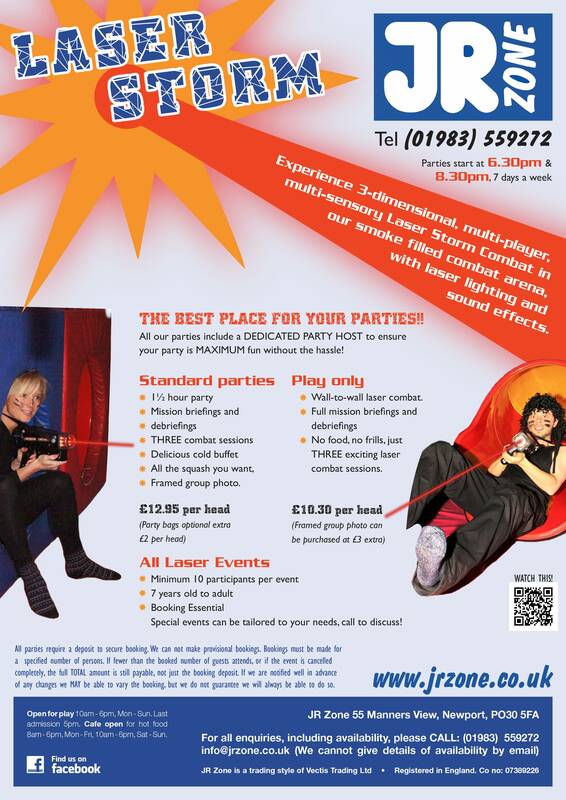 JR Zone is a dedicated facility offering indoor soft play and associated activities plus the Isle of Wight’s only multi-level indoor Laser Storm arena. 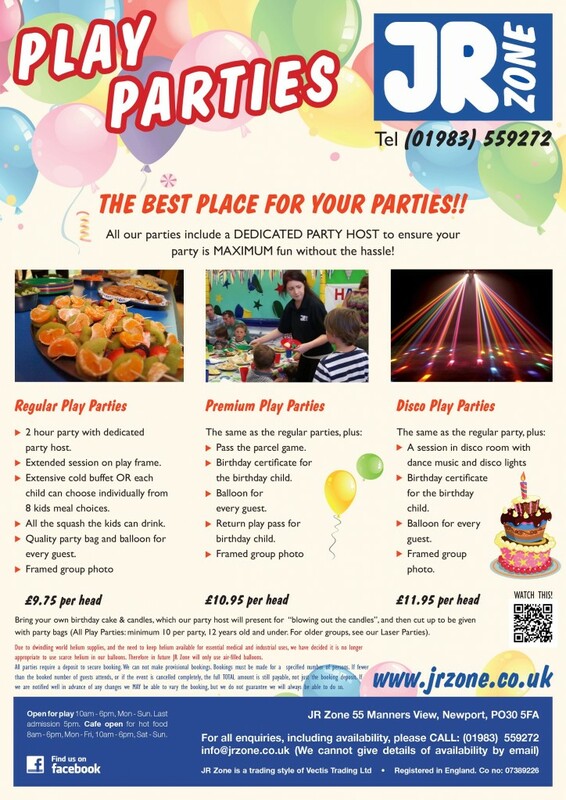 Today, JR Zone caters for the indoor entertainment needs of all ages – from their hugely successful term-time toddler activities through to their after-hours laser tournaments and even private hires of the facility for all age groups, including adults. 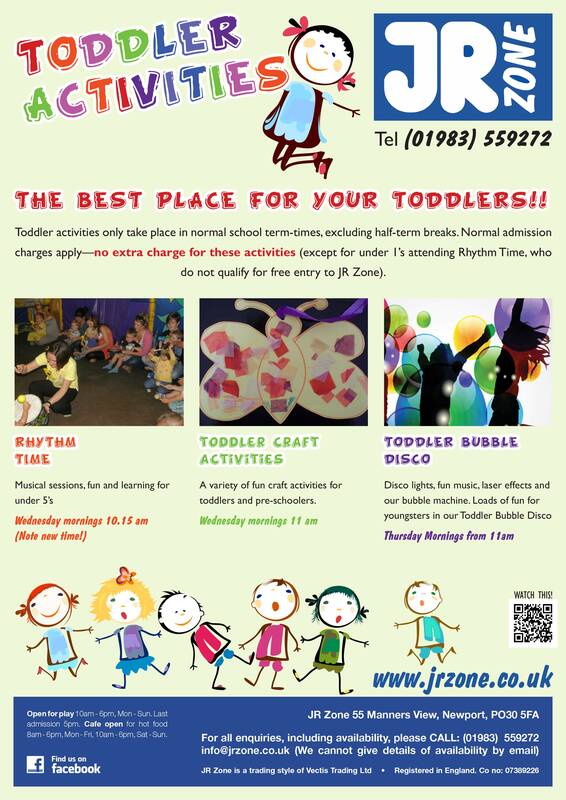 JR Zone originally spoke to Brightbulb Design to update the look of their flyers to something more attractive and engaging to their audience. 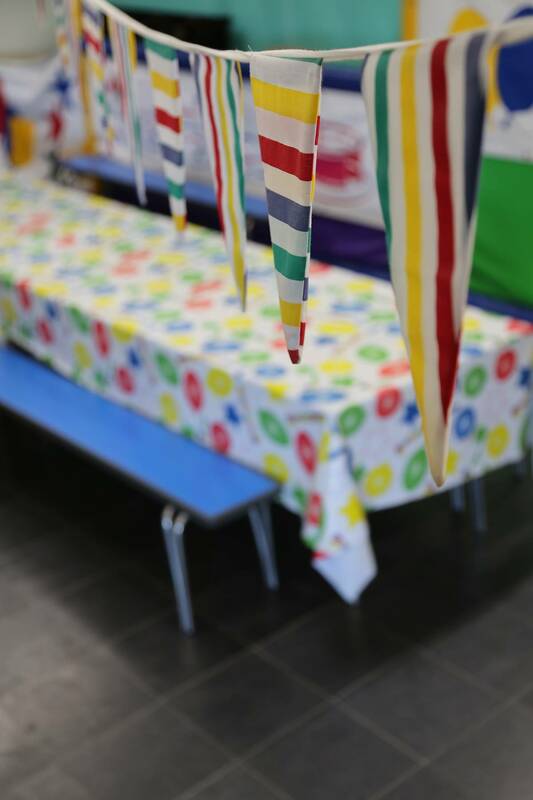 They wanted to target different and specific age groups with different styles but a consistent brand message. 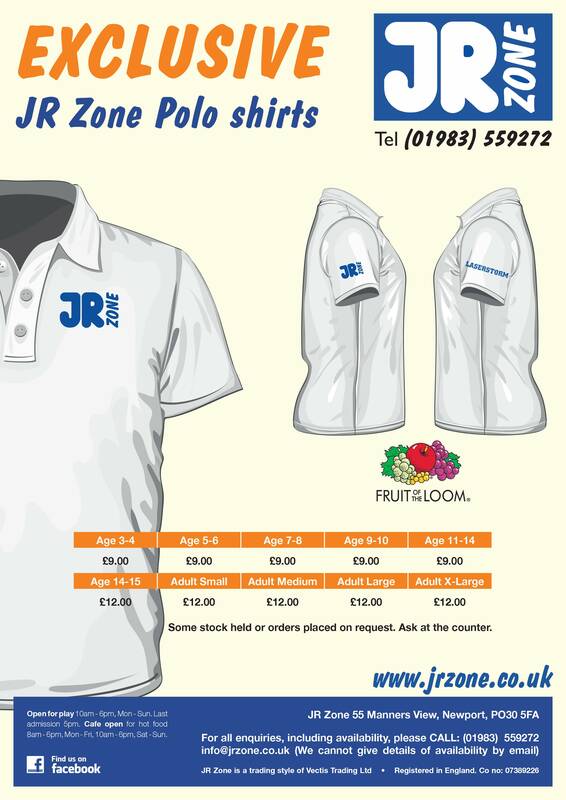 After the initial phase Brightbulb Design has gone on to develop JR Zones menu and we look forward to working with JR Zone on future branding projects. 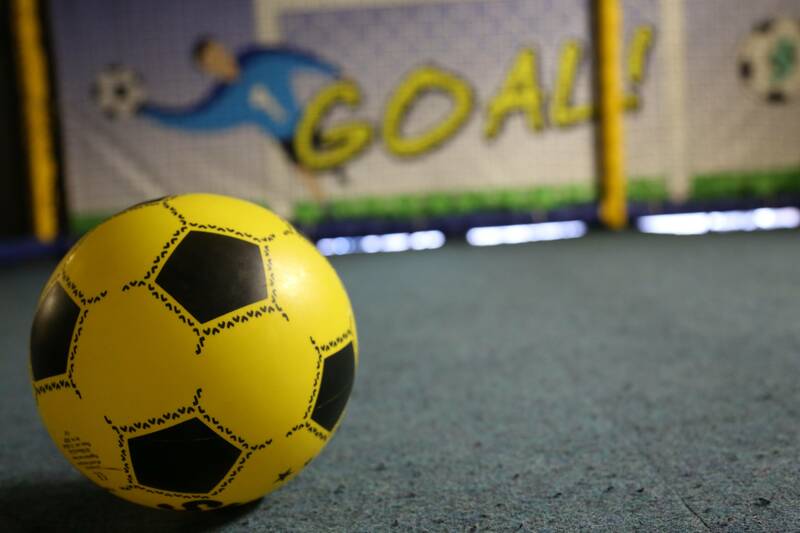 Brightbulb Design wanted to help JR Zone keep a consistent branding experience throughout their marketing collateral whilst still introducing fun and lively graphics that would help motivate customers to come along and experience the range of activities that JR Zone have on Offer. 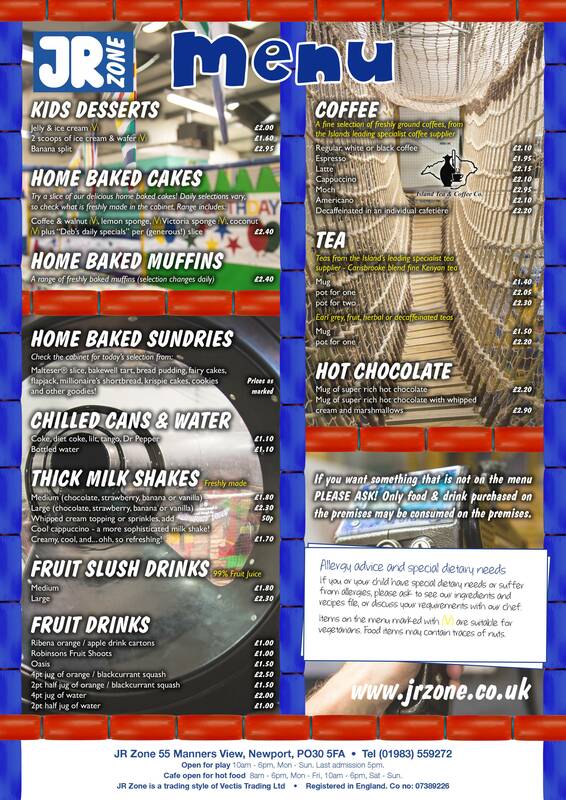 We worked closely with the client through several rounds of design changes to achieve leaflets that they were really pleased with. They now sit proudly on the counter tops ready for customers to pick up. 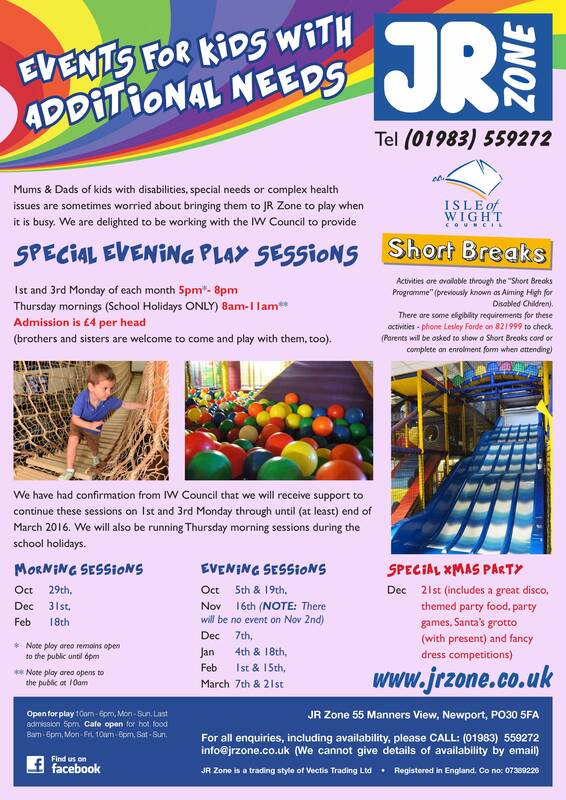 After the leaflets, Brightbulb Design began work on the JR Zone Menus. JR Zone wanted something that really stood out but was clear and easy to understand. They also wanted something that was all about JR Zone and really highlighted all the great and fun things that they have on offer. Brightbulb decided that the best way to go would be to shoot some new photography for JR Zone to really show JR Zone at it’s full potential. 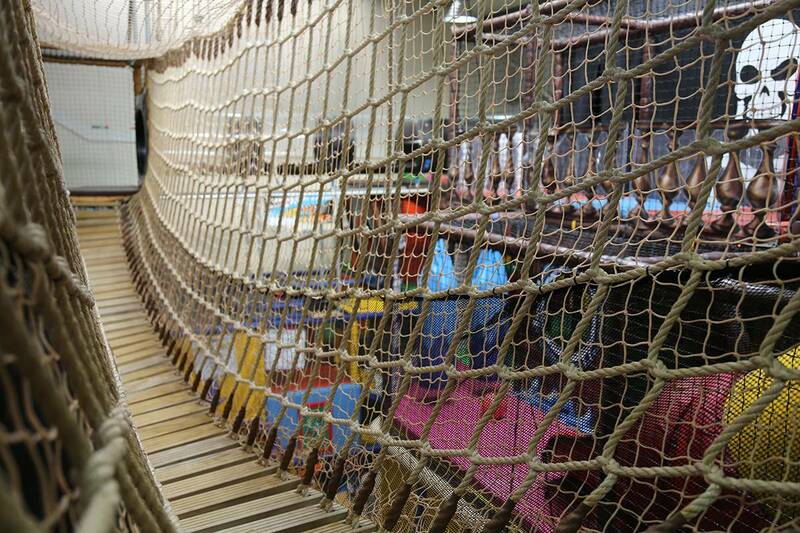 So we crawled around the rafters, slid down the slides and even attempted the rope bridge. 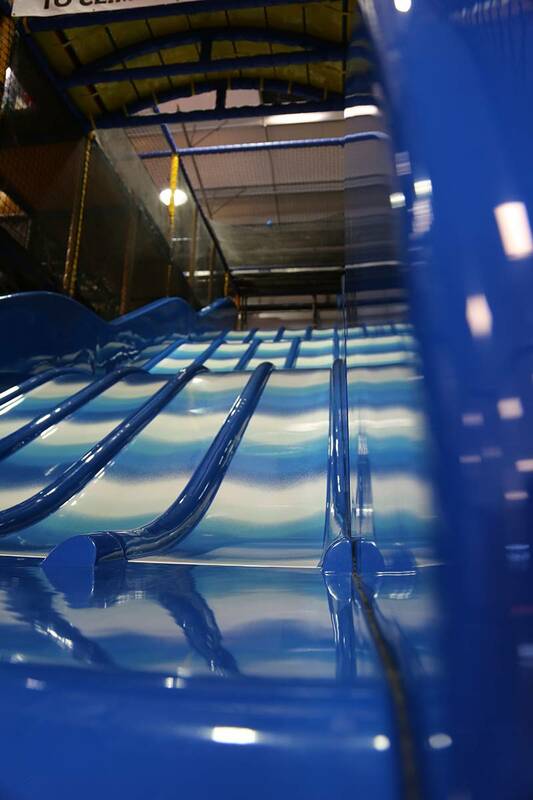 Suffice to say this was not our normal day at the office, it was much more fun! We got some fantastic shots and utilised them within the menu and supplied them to JR Zone for future use across their marketing and website materials. 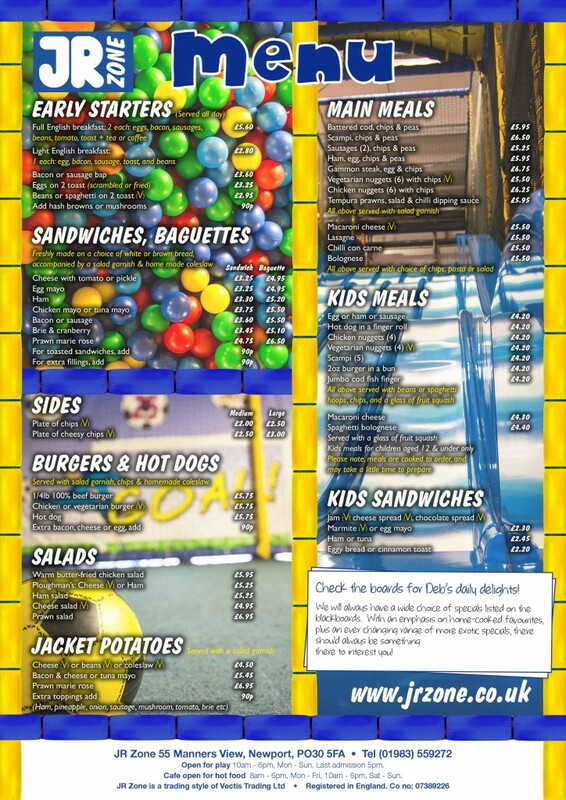 The idea of the menu was to have the JR Zone structure to act as a border and within the background showcase all the different areas of play they have at JR Zone. The result was a lively menu that is fully associated and integrated with the JR Zone brand.